The Elstead Cirus 4 Light Ceiling Light Pendant has curved Auburn Stained wood accents, an inner White shade and Brushed Nickel metalwork. The Elstead Cirus 5 Light Ceiling Light Pendant has curved Auburn Stained wood accents, an inner White shade and Brushed Nickel metalwork. The Elstead Cirus Mini Ceiling Light Pendant has curved Auburn Stained wood accents, an inner White shade and Brushed Nickel metalwork. The Elstead Clearpoint Exterior Wall Light is in a Brushed Aluminium finish with wire-mesh clear glass. The Elstead Cobson Large Single Ceiling Light is in a Natural Brass finish and can be mounted as a ceiling pendant or a semi-flush ceiling light. The Elstead Cobson Small Ceiling Light is in a Natural Brass finish and can be mounted as a ceiling pendant or a semi-flush ceiling light. 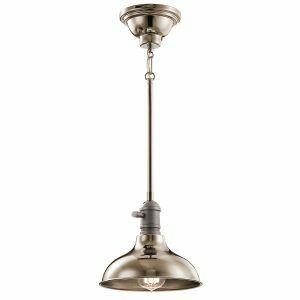 The Elstead Cobson Large Single Ceiling Light is in an Olde Bronze finish and can be mounted as a ceiling pendant or a semi-flush ceiling light. 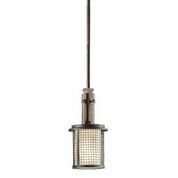 The Elstead Cobson Small Ceiling Light is in a Olde Bronze finish and can be mounted as a ceiling pendant or a semi-flush ceiling light. The Elstead Cobson Large Single Ceiling Light is in a Polished Nickel finish and can be mounted as a ceiling pendant or a semi-flush ceiling light. The Elstead Cobson Small Ceiling Light is in a Polished Nickel finish and can be mounted as a ceiling pendant or a semi-flush ceiling light. The Elstead Cora 3 Light Bathroom Wall Light is in a Chrome finish with bell shaped ribbed glass shades. The Elstead Cora 4 Light Bathroom Wall Light is in a Chrome finish with bell shaped ribbed glass shades. The Elstead Cora Double Bathroom Wall Light is in a Chrome finish with bell shaped ribbed glass shades. The Elstead Cora Single Bathroom Wall Light is in a Chrome finish with a bell shaped ribbed glass shade. The Elstead Crystal Skye 6 Light Ceiling Pendant has triangular crystal prisms resting on a Chrome finish frame, reflecting light in a hundred ways. The Elstead Crystal Skye 8 Light Ceiling Light Pendant has triangular crystal prisms resting on a chrome finish frame, reflecting light in a hundred ways. The Elstead Crystal Skye Linear Island Ceiling Light has triangular crystal prisms resting on a chrome finish frame, reflecting light in a hundred ways. The Elstead Crystal Skye Wall Light has triangular crystal prisms resting on a Chrome finish frame, reflecting light in a hundred ways. The Elstead Danika Adjustable 3 Light Linear Ceiling Light Pendant has Wood accents adding interest to the White finish. The Elstead Danika Mini Ceiling Light Pendant has Wood accents adding interest to the White finish. The Elstead Emory 3 Light Ceiling Light in Classic Pewter has an off-white fabric drum shade and a glass diffuser. The Elstead Emory 4 Light Ceiling Light in Classic Pewter has an off-white fabric drum shade and a glass diffuser. 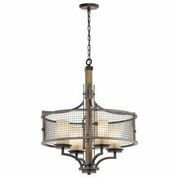 The Elstead Emory 3 Light Ceiling Light in Olde Bronze has an off-white fabric drum shade and a glass diffuser. 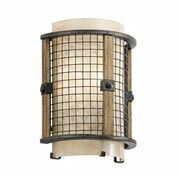 The Elstead Emory 4 Light Ceiling Light in Olde Bronze has an off-white fabric drum shade and a glass diffuser. 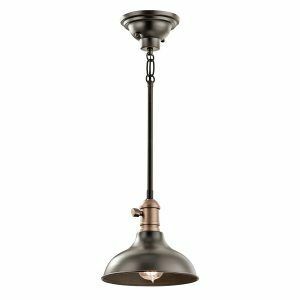 The Elstead Everly Medium Single Ceiling Light Pendant is in an Olde Bronze finish with a shade inspired by blown glass containers. The Elstead Everly Medium Single Ceiling Light Pendant is in a Chrome finish with a shade inspired by blown glass containers. The Elstead Everly Small Single Ceiling Light Pendant is in a Chrome finish with a shade inspired by blown glass containers. The Elstead Franceasi Flush Porch Lantern is in an Olde Bronze finish with amber tint glass. The Elstead Franceasi Medium Wall Lantern is in an Olde Bronze finish with amber tint glass. The Elstead Franceasi Small Wall Lantern is in an Olde Bronze finish with amber tint glass. 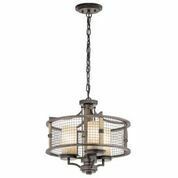 The Elstead Halleron Hanging Porch Chain Lantern is in a Londonderry finish and a Victorian inspired design. The Elstead Halleron Flush Porch Chain Lantern is in a Londonderry finish and a Victorian inspired design. The Elstead Halleron Medium Wall Lantern is in a Londonderry finish and a Victorian inspired design. The Elstead Halleron Pedestal Lantern is in a Londonderry finish and a Victorian inspired design. The Elstead Halleron Small Wall Lantern is in a Londonderry finish and a Victorian inspired design. The Elstead Hendrik 3 Light Over Mirror Bathroom Wall Light is in a Chrome finish with satin-etched opal glass shades. The Elstead Hendrik Bathroom Ceiling Light is in a Chrome finish with a satin-etched opal glass. The Elstead Hendrik Double Bathroom Wall Light is in a Chrome finish with satin-etched opal glass shades. The Elstead Hendrik Single Bathroom Wall Light is in a Chrome finish with a satin-etched opal glass. The Elstead Imahn Wall Light features industrial characteristics with exposed piping in a Black and Natural Brass finish. The Elstead Jasper 3 Light Bathroom Wall Light is in a Chrome finish with satin etched opal glass globes. The Elstead Jasper 4 Light Bathroom Wall Light is in a Chrome finish with satin etched opal glass globes. The Elstead Jasper Double Bathroom Wall Light is in a Chrome finish with satin etched opal glass globes. The Elstead Jasper Single Bathroom Wall Light is in a Chrome finish with a satin etched opal glass globe. 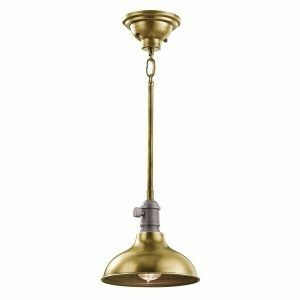 The Elstead Keller Medium Single Ceiling Light is in an Olde Bronze finish with a curved opal glass. The Elstead Keller Single Ceiling Light is in a Brushed Nickel finish with a curved opal glass. Cleveland, Ohio based and founded in 1938, L D Kichler & Co are a family run company held in high regard by their customers for the diversity of design and breadth of range, which includes some truly striking and oftern substantial pieces. In 2015 Kichler partnered with Elstead Lighting as their European and specialist 220-240v distributor. If you require any assistance or further infomation on any Kichler lights please do not hesitate to contact a member of our sales team.